Mimi Marie~: And they call this FOOD? And they call this FOOD? Ok well, I think I've made my point and I can finally throw this in the trash where it belongs! I've seen a lot of posts on this same exact experiment over the years, but I really wanted to see for myself if it was real. So, I bought this hamburger from McD's in March 2013 to run my own test. 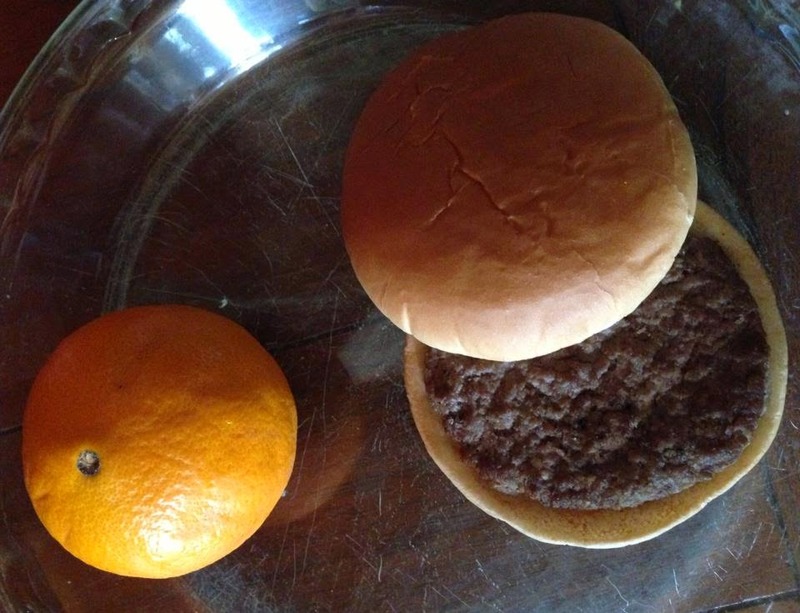 All I bought was a plain hamburger on a bun. I sat it next to an orange because I knew the orange would last a long time before it actually rotted. I sat it on an open pie dish in my garage and let it be. The only thing that slightly changed was the size. The top bun didn't make it through the poking, prodding and banging around because people and kids were so curious. Otherwise, I assure you nothing was preserved or tampered with. It reminds me of the fake food toys my daughter used to have in her play kitchen. And they call this FOOD? Not in my book!